Does your infant have sensitive skin? Many do. In fact, one in five children under the age of two have eczema at some stage and even more will be prone to rashes and sensitive skin. 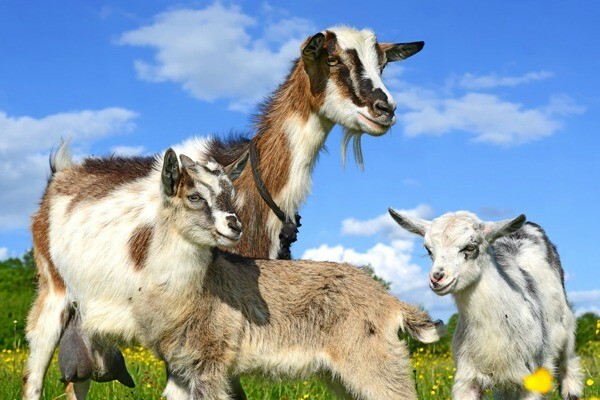 Parents all across Australia have discovered goat’s milk. Have you tried it yet? It could be the solution that you are looking for. Sensitive skin can be caused by a number of things and often relieving sensitive skin involves trial and error. You may need to switch your washing detergent. You may need to dress your baby only in certain fabrics. If you are breastfeeding you may need to change your diet and watch what foods are going into your body and your milk. As a mum who spent months trying out dairy-free, meat-free and (the worst thing ever) coffee-free diets, I can vouch that this was torture for the entire family! Perhaps though, relieving sensitive skin could be as simple as making the switch to a natural skin care range. Australian-made and owned Baby U’s Goat Milk is a moisturising, natural skin care range designed for babies and toddlers. It contains the soothing properties of goat’s milk and is sourced from the Gippsland region in country Victoria. With no harsh chemicals, SLS, parabens, artificial colours or petroleum (yes, lots of soaps contain all these! ), it is designed to relieve dryness, reduce skin inflammation and assist in treating eczema. The Baby U Goat Milk range includes shampoo ($8.99), body wash ($8.99), moisturising lotion ($8.99) and soap ($2.99), all enriched with natural ingredients and natural milk proteins that replenish vital nutrients. What makes soaps containing goat’s milk so different from regular soap? Goat’s milk has a pH level very close to our skin’s own pH, which means it helps to maintain the delicate balance on the surface of your skin. It also has a naturally high content of alpha-hydroxy acids, such as lactic acid, which help to remove dead skin cells from the surface of your skin. All babies are prone to skin conditions during their first few weeks. You can expect your baby’s skin to be blotchy, blemished and bumpy. About 35 per cent of babies are born with milia, white or yellow dots that appear over their faces; about 20 per cent of newborns will have baby acne; and around 50 per cent of babies will develop erythema toxicum – a harmless red rash. While these blemishes are all temporary, many skin conditions can bother your infant if not treated with care. Both of my babies had sensitive skin and even when my children did not seem bothered by it, as a mum, I couldn’t help but feel that I was not doing enough. Dry, itchy, sensitive skin can be frustrating, especially for infants and toddlers who cannot communicate what is bothering them. 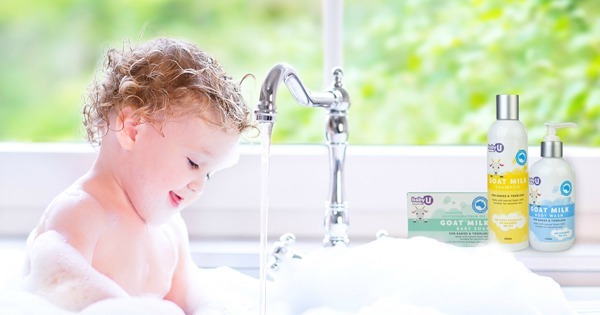 Look for the Baby U Goat Milk range in Big W (stock may vary), leading chemists and baby stores. Give it a try and see if it makes a difference. Many parents (including me!) have found it helps relieve common skin conditions. Best of all, you won’t have to change your diet!